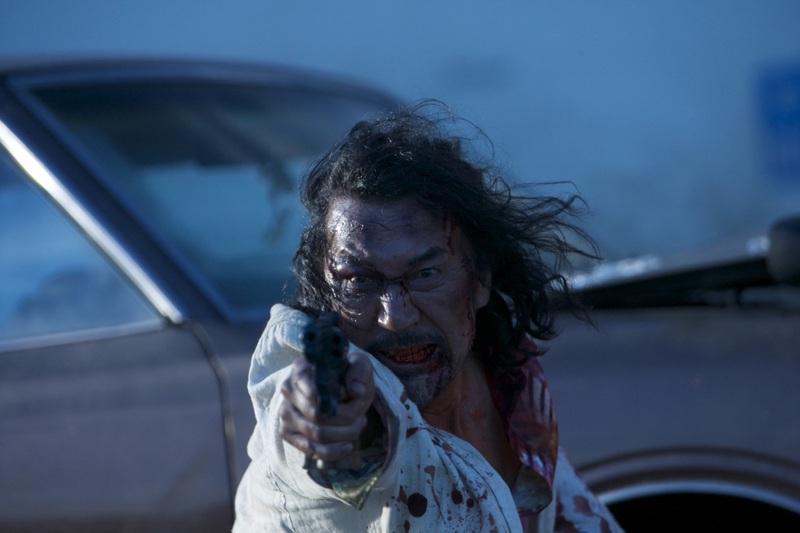 This article is a review of THE WORLD OF KANAKO. 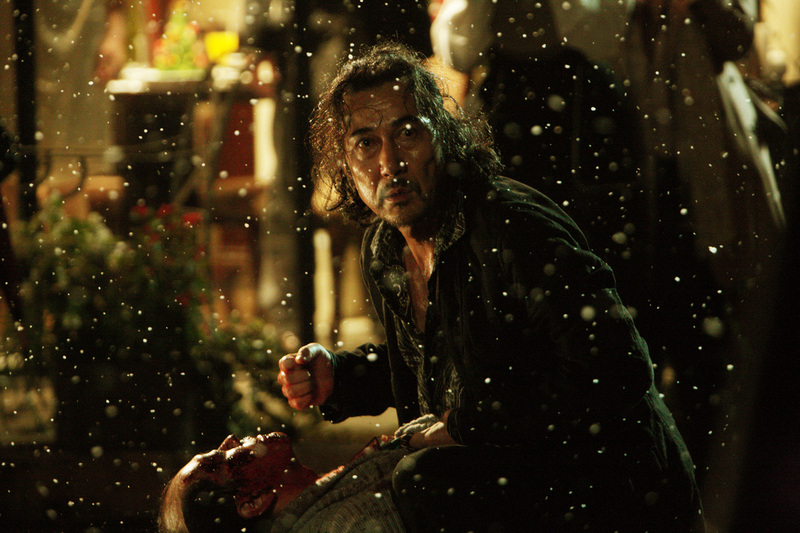 THE WORLD OF A KANAKO is a brutal, brilliant cinema experience, like virtually no other. Hold on to your butts, forget bland lifeless computer generated carnage; this is the real rollercoaster ride. A man tears apart Japanese society looking for his daughter. The anti-TAKEN, the opposite of Liam Neeson’s gee-whiz superficially wholesome-ish assassin, Kôji Yakusho could not be more distant to his noble samurai rebel leader in 13 ASSASSINS. His Akikazu Fujishima is a person of non-existent patience. Akin to Robert De Niro’s David ‘Noodles’ Aaronson in ONCE UPON A TIME IN AMERICA, articulation only comes through violence. Clue bombs are dropped in an opening montage packed with imagery, requiring a second watch to unravel. From stylish nightclub dancing to a church visit to murder, you wonder what you’re in for. Rapid cross cutting sets the bar for audience respect. We are expected to keep up. Akikazu is washed up. A former police lieutenant and now an alcoholic security guard, he lost his job and then his family. Psych profile labels him a schizophrenic, and questions manic depression. 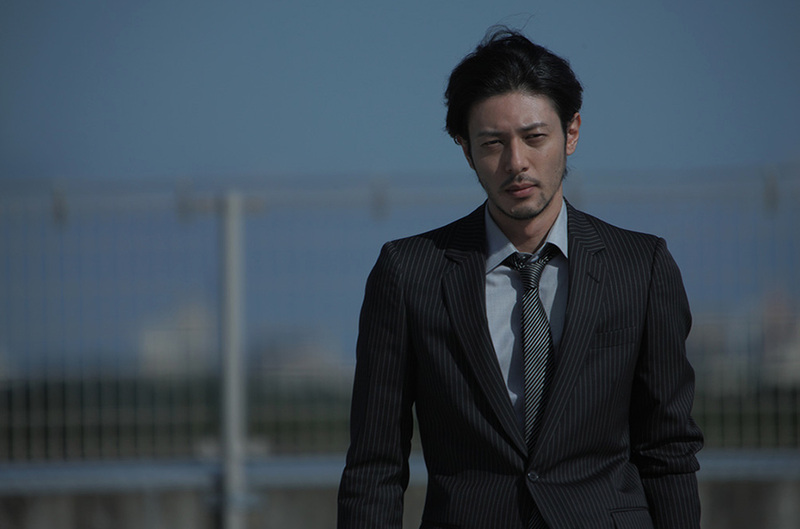 Slick young detective Asai (Satoshi Tsumabuki – VILLAIN), weirdly always laughing and always sucking on a lollypop Kojack-style, never misses an opportunity to goad his former colleague, showing a surprising lack of deference to an elder. Kiriko (Asuka Kurosawa), worried, contacts her volatile ex-husband, to tell Akikazu that their daughter, Kanako (Nana Komatsu), has been missing for five or six days. Runaway or kidnapped, Akikazu gets it into his head that finding her will reunite his broken family. A reputation as popular and academically successful is only a veneer as her father begins to delve. Like Ralph Fiennes’ Justin Quayle in THE CONSTANT GARDENER, Akikazu realises he did not know his loved one. Unlike the John le Carré adaptation, it is not a positive revelation. Fathoming the levels of depravity and moral bankruptcy in the world of Kanako is almost overwhelming. Why both gangsters and the police are also looking for a teenage girl compounds the uneasy mystery. Boy does Akikazu take a beating through the two-hour runtime. (His white suit is like John McClane’s vest in DIE HARD, a sartorial manifestation of physical/emotional pummelling.) But he gives worse than he gets, and heinously so at times. Narrative-drive, focused stomach-churning violence, presented in the context of urgency and hyperactivity, holds the audience enthralled. Seriously stylish, heart wrenchingly tragic, misanthropically disturbing.